In the second part of my Big Generator mini-series, I listen to the album this week. Do let me know what you think of this record now, so many years later. Is it all 80s stadium rock? Is there any prog in there at all? How do the songs stand up today? Once again an excellent episode. I also took this week to spin Big Generator in preparation for this episode. I’m brought back to my high school senior days when I listen to this album..and my first memory is being in my friends house and listening to it on their home stereo in the basement. At the time I thought it sounded very hi-fi and modern but I found there weren’t as many memorable songs as 90125. My favorite songs are still Love will find a way and Final Eyes. The one song that always rubbed me the wrong way was Almost Like Love…something about those keyboard generated brass sounds that I didn’t like. Oh well you can’t please everyone. Keep up the great work and I’m looking forward to next week. Thanks again Mark. It didn’t sound quite as dated as I expected- maybe due to things like real drums. I bet some other albums from the same year sound a lot worse! Another excellent episode, Mr. Mulryne! I’m glad to hear that whatever your – and indeed, my – reservations about Big Generator are, that you still find it an enjoyable listen. It was a well-reasoned and well-stated evaluation, and it was well timed as I’ve been listening to BG a lot after recently re-acquiring a copy. I choose not to analyze why I’m enjoying it too deeply – for instance, I never really examined how much traditional ‘prog’ was there – only that I enjoy it without qualifiers. I certainly enjoy how Anderson’s voice comes through so clearly and wonderfully, which was one of the things that originally attracted me to the band in the first place. If “Love Will Find A Way” seems like an anomaly (and I had no idea it had been written with Stevie Nicks in mind), then it’s an anomaly I’m happy to listen to. Although it doesn’t really build on the genuine triumphs of 90125, for me it’s one of the last times Yes appeared to be moving forward. Granted, that way forward seems to be towards traditional stadium rock, though Yes had been a stadium level act for years, but it was a direction they pursued with some confidence. After this, nostalgia seems to take hold, and future albums seem built on who’s coming back into the band and what parts of the past can be re-captured. All in my humble opinion of course, and their later years do produce some fantastic moments, but to me this is the last time they seemed to be a ‘contemporary’ band as opposed to a legacy band. Here’s looking forward to many more ‘revisited’ episodes. Great points, Chris! I think Talk took them further actually but I do see what you mean. Legacy band is a fascinating way to think about it. Thanks for the comment. I hate to see Steve Howe’s singing maligned so. Does he have a beautiful voice? No. But Beginnings is a beautiful solo effort from Steve. He sings like he sings when he is alone or with friends: from the heart. I’d rather listen to Steve sing than many other songwriters with rough voices… Bob Dylan included. I rank the solo albums thus: Fish Out of Water, Beginnings, Olias of Sunhillow, The Story of I, and whatever that mess was that Alan White put out. Mmm interesting angle, Jamie. I like your ranking as well. Thanks! Amazing what Yes listeners find in each song, that is what makes Yes so special and different then any other musical group that I know of. We all know the history of this album and how it took way to long to finish however the main theme of what I’m hearing from the listeners is that everyone has something unique or different to tell or relate to in this recording. I believe this album was meant to kinda of stir things up. I have no doubt in my mind that Yes cares more about there music then any of us can or could imagine. I like the idea of having a list of favorite albums however it has to be just for fun because how can anyone say that this song or album was better than this one. Close to the edge now really yes the recording of this album was well very strange indeed however think about what was before Close to the edge, as far as progressive rock or what ever the music industry calls it, I call it Amazing in every way having seen this song live to many times to remember and seeing the other classic as well I’m sorry but Close to the edge stands on top of any list for me! Keep up the great work It matters to me and I absolutely find the people on here great Yes fans and that is what makes you podcast second to none! One thing I remembered when re-listening to Big Generator………. 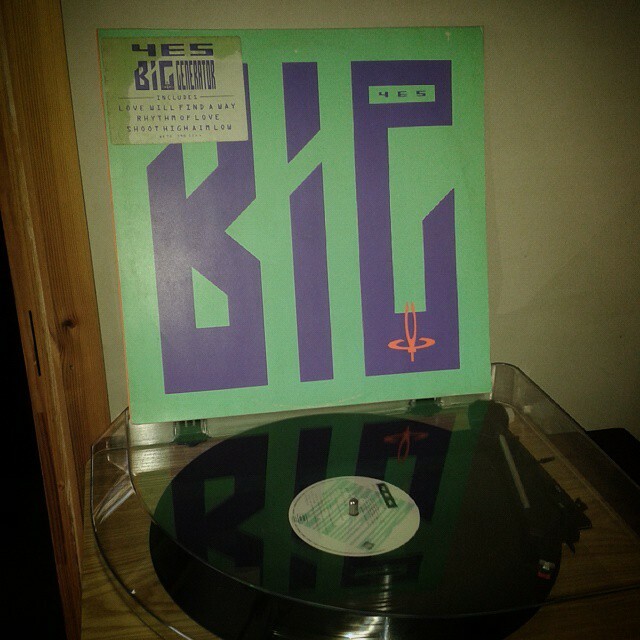 I mentioned in last week’s post that Big Generator was the album Yes had out when I first became interested in them, so this is the era that hooked me. When I finally investigated their back catalog, I remember hearing “Your Move” and “All Good People” and immediately thinking that they recalled “Final Eyes” off this album – the acoustic intro building to a rockier finale. Obviously, that’s getting things backwards, and they don’t sound *that* much alike…… but I did catch the continuity between two separate eras of the band, more than fifteen years apart, that doesn’t seem immediately obvious but is there if you listen to it. I ran across this post on the AllMusic website entry for Big Generator. If Paul DeVilliers really posted the review of Big Gen, then has some interesting points. Sounds plausible. What do you think? Wow. It’s really not clear if that is DeVilliers or not. Ambiguous grammar etc. As you say there are some intriguing aspects which sound genuine and I can definitely believe the general story. Thanks for spotting! Nice show, Kev 🙂 It was certainly good to hear some love (well, maybe well-balanced affection) for the much maligned Big Generator; easily my favourite Yes album post Going For The One. I remember a review on the old BBC Ceefax service summing it up best back in ’87 when they described it as just a ‘glorious noise’. I still get the hairs raise up on the back of my neck by the frantic end of I’m Running and that’s good enough for me. Ceefax! I remember sitting watching the cricket scores update before I could afford satellite TV. Like you I love I’m Running. Thanks for the comment! In Bill Martin’s book “Music of Yes,” he argues that Big Generator is actually the best of the three Rabin era albums. While I don’t agree with him on that, his analysis of the album made me appreciate it a great deal more. Your discussion here only adds to that appreciation. Thanks! 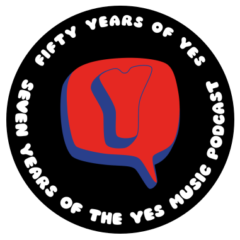 I always imagine three types of Yes fans — (1) Those who love the 70s work and mainly look for more of it, hoping to recapture that past, (2) People like me who find reasons to love all of it, and (3) perhaps a small cohort who jumped in with Owner in the 80s and just like the Rabin material, or songs that remind them of it. We who love it all don’t have to defend ourselves or our love to the Glory Days seekers. I love Big Generator. I think many Yes fans judge the album against other Yes albums, while I judge it against other late 80s albums. When I want some hard driving music to power my workout or lift my mood or provide a soundtrack to an exhilarating drive through the country, I’m so glad we have Rabin-era Yes to turn to. 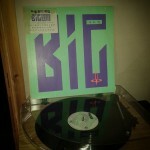 It would be a much poorer musical world if Big Generator didn’t exist.